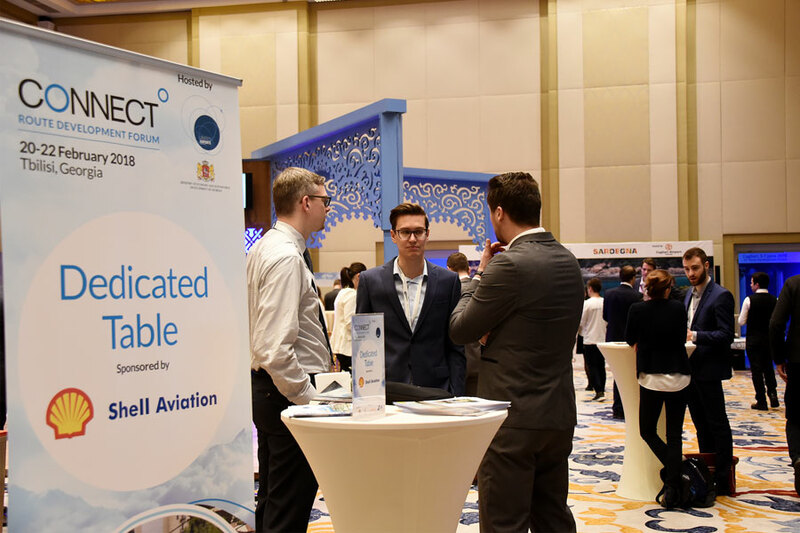 Showcase your brand at CONNECT 2019 and gain access to over 600 senior decision-makers from the international aviation sector. Exhibition stands will provide you with a personal location to brand as you so wish! Single stands are 3m x 2m with full shell scheme including: electric power outlet, lights, x1 table, x4 chairs and a fascia sign. Double stands are 6m x 2m with full shell scheme including: electric power outlet, lights, x2 tables, x8 chairs and a fascia sign. The relax lounges are perfect for less formal meeting opportunities! 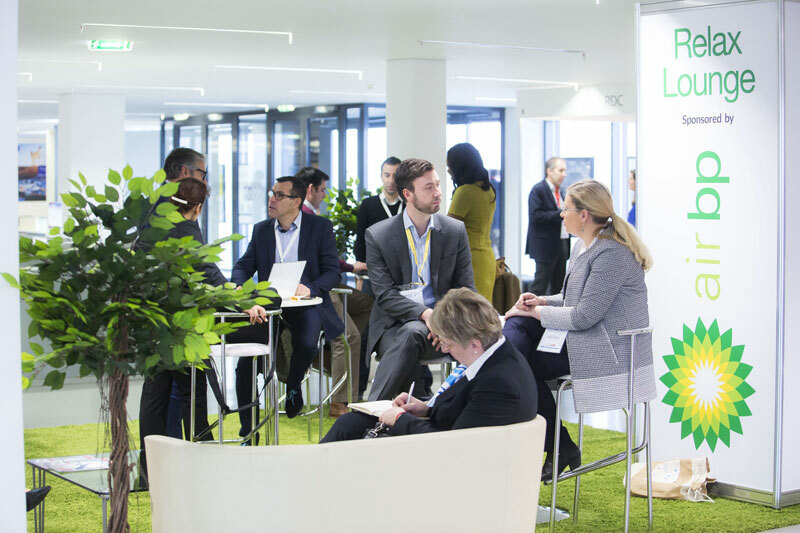 The branded area of 25m2 is filled with a mixture of lounge furniture and high tables and stools for a more comfortable setting. If you’re looking to have a point of contact, but just need something small, why not book your own dedicated spot at the heart of the event! We will provide you a branded area with a high table and x2 stools.